In this day of uncertainty, most earning individuals look forward to securing the lives of their loved ones with a life insurance cover. When people look for life insurance policies, the most obvious choice for them is a term insurance cover. All life insurance companies in the market offer term plans for their customers and Exide Life is no exception. The protection plans offered by Exide Life ensure that policyholders and their families are well protected from unexpected adversities. Customers who look forward to buying a term insurance plan from the company can use the premium calculator available on the official website and check the cost first. Why customers must use a Premium Calculator? The life insurance industry is currently flooded with term insurance covers offered by companies operating in the country. As of now, there are about 24 life insurance companies operating in India. Choosing the right company and the right plan can be daunting for someone looking to buy a term plan. Since most people choose plans based on the cost of a policy, it is necessary for them to know the premium before they make a decision. This is the reason why insurance companies offer premium calculators for their customers. Using premium calculators, customers can check different plans and different sum insured options that fit within their budget. This saves the trouble of manually calculating the potential cost of a policy based on one’s age, income, health condition, smoking habits, and other related factors. On the bottom of the page, locate ‘term plan calculator’ and click on it. A new window will open with the term plan calculator. Here, enter the required details like sum assured amount, date of birth, gender, premium payment term, policy term, name, phone number, smoking habits, etc. Once you have entered the required details, you can view the premium amount for the chosen plan. Choose the specific product for which you wish to know the premium amount. On the plan page, click on ‘buy online’ and open the premium calculator page. On the resulting page, choose your desired coverage amount, gender, date of birth, smoking habits, name, email ID, and phone number. Once you have entered the details, click on ‘get a quote’ to instantly receive the premium of the cover. 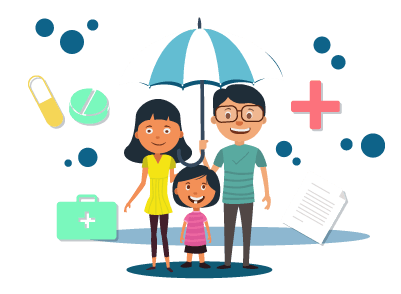 If you are researching about term plans in the market, you can save a lot of by using the term insurance premium calculator. Rather than contacting the company at every single instance to know the price of a plan, you can calculate it on your own by entering a few simple details. Term insurance premium calculators are user-friendly. They are designed in such a way that the information is delivered instantly without any delay. These calculators simplify the complex task of calculating the premium based on the unique inputs from an individual. Premium calculators help customers understand the products in the market better. Customers can understand the factors that influence the price and improve their overall knowledge about term plans. This knowledge is essential when they decide on the right product they should buy. Exide Life is one of the up and coming players in the life insurance industry. The company has an impressive product lineup to cater to the needs of its customers. The requirements of customers change from one person to another. Hence, it is impossible for companies to set a fixed premium for all customers. With premium calculators, customers can calculate the specific premium applicable to them and contact the company if they decide to go ahead with the purchase.